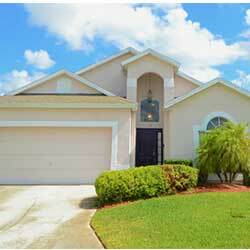 LOOKING FOR GREAT ORLANDO VACATION RENTALS? Our Orlando vacation rental collection is your best choice of vacation homes in Orlando for your next family vacation. Our properties are located in various communities, between Kissimmee, Davenport and Clermont, a prime location just a short drive from the main gate of Disney World. These Orlando vacation rentals provide everything you need for a relaxing Orlando Disney vacation, at a fantastic value price. Enjoy your very own private screened in pool, a fully equipped kitchen, a spacious living and dining area, comfy beds and more. Select from Silver Star rentals our sophisticated but budget minded collection, Gold Star rentals offer upgraded and conveniently located properties and Platinum Star vacation rentals offering top of the line amenities in resort communities!. Greatest value for your Orlando vacation rental! Enjoy a relaxing Disney World Vacation for less. Choose between 3 to 6 bedrooms, all with private pools, full kitchens, and spacious living areas. Starting at $179 per night. Have a little more with your vacation home! Take it up a notch with upgraded furniture, additional amenities, larger living areas, and gated-communities. Choose from 3 to 6 bedrooms in a variety of locations near Disney World. Starting at $199 per night. A unique selection of our finest Resort Style Orlando vacation properties. Available to guests with discerning tastes, these stunning properties offer a variety of amenities. 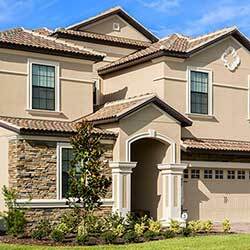 Choose from 4 to 8 bedrooms, all in gated, resort-style communities near Disney World. Starting at $229 per night.